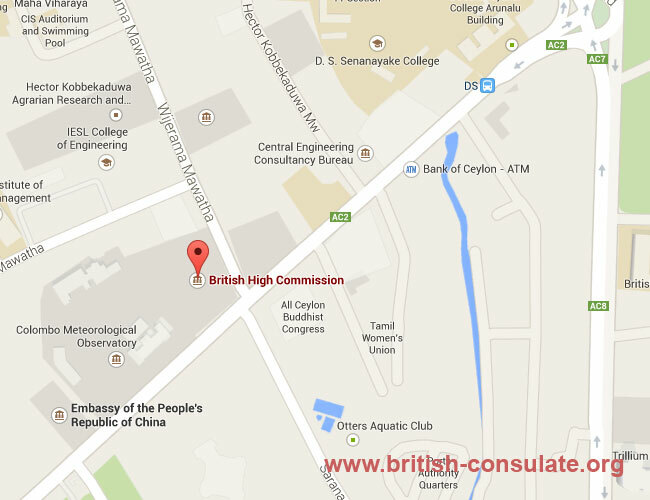 If you are in Sri Lanka then you will be pleased to note that the British Embassy in Sri Lanka is located in Colombo. This embassy can accept applications for a British Visa if you wish to visit the UK on holiday or if you wish to live with your British husband or wife in the United Kingdom and needing a partner visa, marriage visa or a fiancee visa. The embassy in Colombo can also issue you with a British passport if you have lost your of authenticate you marriage and register your marriage at the Embassy for the UK. They can also assist you with other consular help which you might need.